This is for the DREAMERS out there! Time to go from Zero to Hero! QUESTION: Dreaming of a start-up business, can’t carry on struggling with leaving the kids and going to work; you have to work-from-home because you can’t find a job in a declining economy, a solopreneur or small biz owner who feels chronically left behind??? If you have a gift, a talent, a passion or knowledge that you love to spend time doing more than anything else … then this is for you. Zero to Hero. End 2018 STRONG! Do you believe me when I tell you that someone out there needs what you may be taking for granted? If you know MORE about something than any single person out there, or have something you can HELP others with that they don’t have, then you you’ve got your answer to that question. If you KNOW MORE about any subject or skill than any single person out there, or have a phusical product you can HELP people with that they don’t have, then you have answered the question. I found that out when I created a business out of my husband’s passion for classic cars but more about that further down. I’m a great believer in synchronicity and, I’d like to point your that there is no arb reason that you are reading this Blog right now. Tune in and listen to your heart! If you have a Passion and it is not your day job, wouldn’t it be nice to be able to work out how you can turn it into something that gives you pleasure and provides some moola? Get to understand the things that may be holding you back from living a life you dreamed of, forgetting what “work” means because you replace it with Serve. You see I spent too many years looking to Mentors to VALIDATE my idea when I stepped off the corporate treadmill. That was one of my BIGGEST lessons … to stop looking outside of me. They neither knew my purpose, my capabilities, my innate strengths and what I am NOT wired for. It was right there staring me in the face. I studied, muddled, failed – succeeded – failed some more and continued going in circles and even as I worked at it, I didn’t realise I was creating something worthy! Something, which not only impacted on our lives profoundly, but I the stuff I learned the hard way are wha now helps other people do better – much easier, cheaper and probably quicker than I did. My A-Ha is our business HIRE CLASSIC CARS. My husband has a life-long passion for classic cars. He is now paid to drive his cars and create memories! That has got to be one of the best examples of “stepping into our purpose and serving”! And, it created the marketing platform for this business on a shoestring. 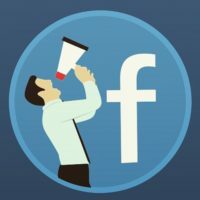 I build the website for free on WordPress; started a Facebook Business Page and tweaked it as I became more proficient with Facebook Marketing. Pop over and see that it is by no means a glitzy website and our Facebook Page will attest to the interesting work my hubby gets to do these days. And. to STOP SECOND GUESSING my Intuition. I’ve seen too many shattered dreams and statistics show that 97% of small businesses fail in first 5 years. Why would you think that is? I think a lot is to do with too much advice, too many solutions while no one really cares if the little guys succeed. It’s not surprising that people are cynical are services like mine. Nonetheless, I am sticking to my guns because I have come to know that my purpose is to learn and pass on my experience to make it easier for those that follow. I, and everyone I have worked with, served, live and socialise with, know that my passion is Marketing; I think that’s pretty obvious. Yet as I’ve worked at coaching, training, mentoring and, creating courses; I have also learned that note t everyone is as into Marketing it as I am. Help you find out if Your Idea is Viable? And, to sway your distrust, I will SHOW how I can help you. Whether you are a Musician, into Yoga, Reiki or Essential Oils; a Baker, Dressmaker, have business skills in one specific area, you draw, paint or take amazing photos … there is someone out there who want to learn what you know. Not only is it up to you to help them find what you so that you can solve their unique pressing problem; it is your DUTY. You can teach, show how, do it for them, give advice, take them to the next step – there are endless ways to use your expertise. I get that everyone has to start somewhere and you I’d like to assure you that you don’t need to be the Best in the World … the best are likely to have forgotten some of the routes they took to get there. Too many people never get off the starting blocks because they are paralysed by the need to be perfect. What you know right now is worthy. What you are is Enough. Step into your power. I am creating a Free 3 Part Training. No investment other than your time and I ask you to do the work as guided by the worksheets. When you complete the training and review and review how you have been transformed, how your thinking has changed … perhaps you’ll find you are excited about following your North Star. So, once again … I call on the Dreamers among you. You’re invited to work with me and you might just get real breakthrough. Hey, I created a business out of a love of classic cars and I’ve learned how my passion for marketing can help people who are about to take the first step, leap rather than hover. Imagine working at what you love; having a positive impact on the people you serve AND make MOOLA …a dream? Maybe not! Based on where I have BEEN (a number of times) and what my clients, mentees and students have taught me; Marketing Made Simple Model is about building the 5 Essential Pillars to create a sound foundation for marketing that supports your business cycle … start to pivot or scaling. I’ve created a FREE three-part ZERO TO HERO training to help you finish this segment of your life and business a milestone. One that is noteworthy because it’s when you finally fell confident and excited to take the next step! This exercise will reveal the goal that motivates you through tough times. It’s the driving force that will propel you forward. When you redefine your product or service while standing in their shoes, you talk to the emotional brain that makes people put cash on the table without you having to be ‘salesy’. Your chance of success increases proportionate to how well you know your Ideal Customer. Your job is to know what makes them tick and where they hand out so that put the right offer in front of the right people at the right place and the right time. Where to find your Customers online. Where to get the quickest results at least cost. How to go market and create a Conversion Funnel. 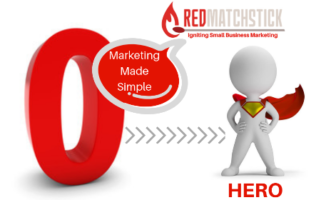 Simple actionable steps to get results and achieve your Marketing goals. This is not a get rich quick solution or a business idea opportunity. This training series is intended to help you see your next step clearly. For some of you, it will mean working with me to accompany you on your journey. Others will see another way to take another route and that’s fine. As long as you move forward with enthusiasm and excitement (and share this opportunity with others who need a hand up! ), then I have achieved something worthwhile and not wasted your time or mine. Tell me more …Have you tried out a business idea that didn’t work? Why do you think so? Please share your experience in the Comments below. GO HERE TO MY FACEBOOK PAGE ACCESS THE TRAINING! This entry was posted in Content Marketing, Uncategorized. Bookmark the permalink.